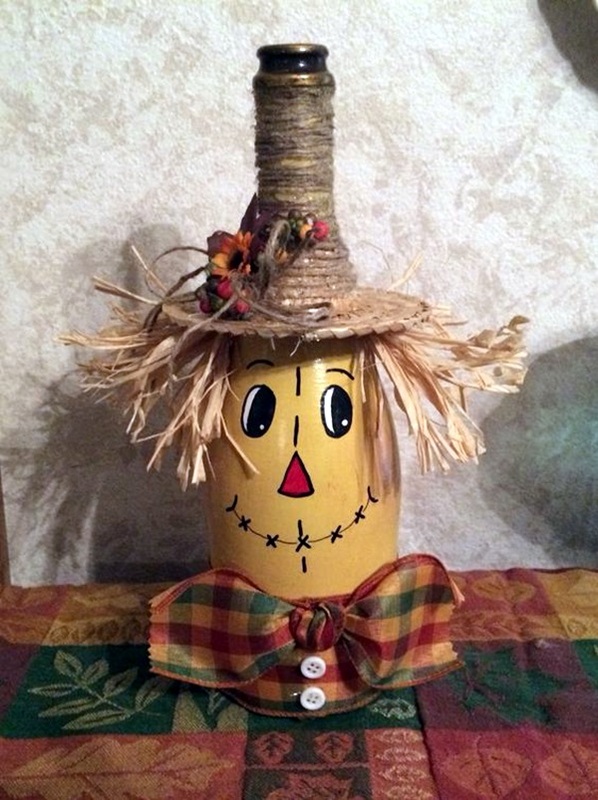 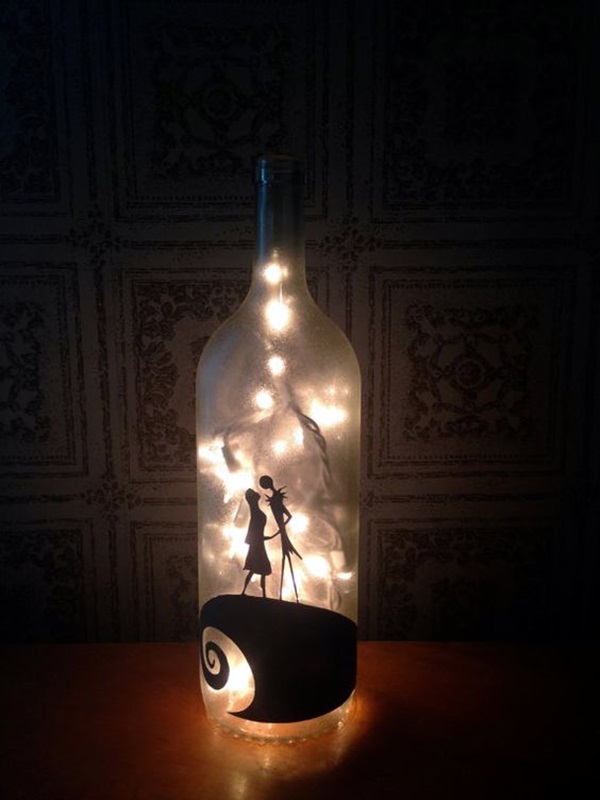 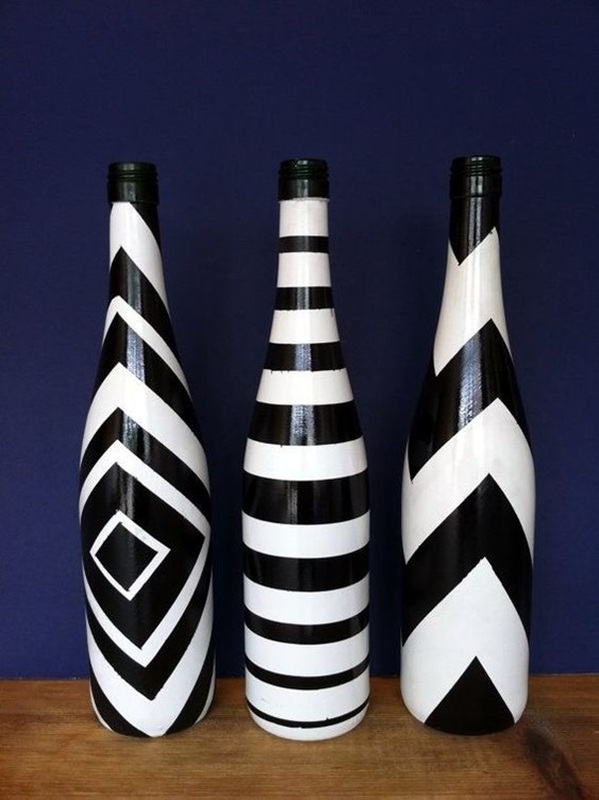 This is one of theunique and Cool Wine Bottles Craft ideas.This will be a beautiful piece of art which you will feel proud of and enjoy for the years the come. 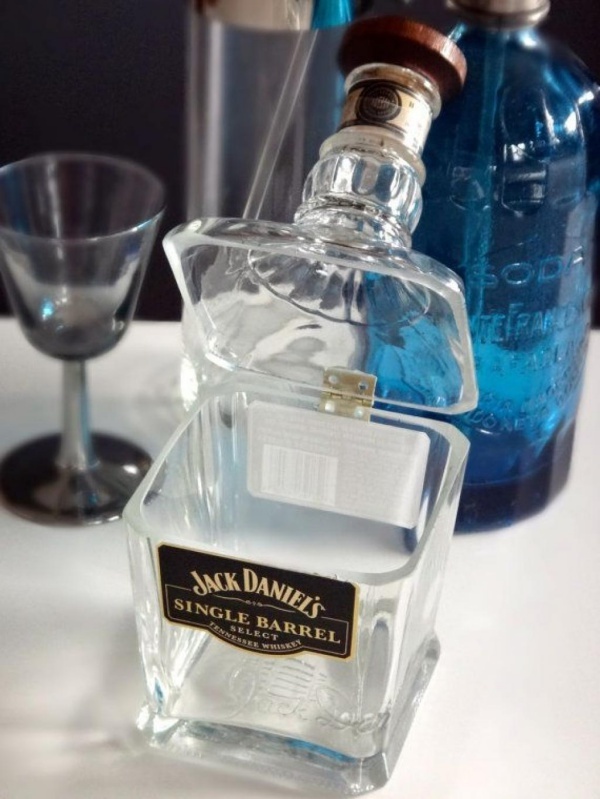 Take a glass bottle of any color and make sure it is clean and all the labels are removed. 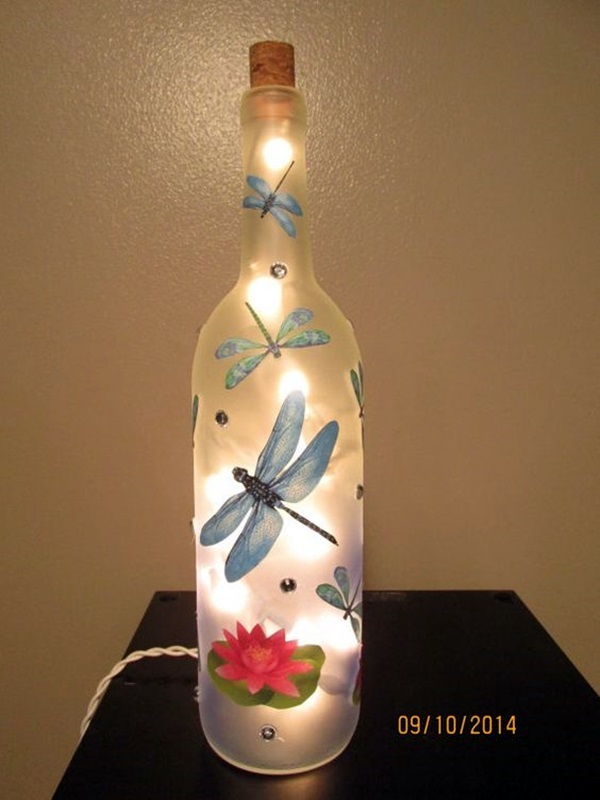 Separate the bottle and rub it with grit-sand paper in order to smooth edges. 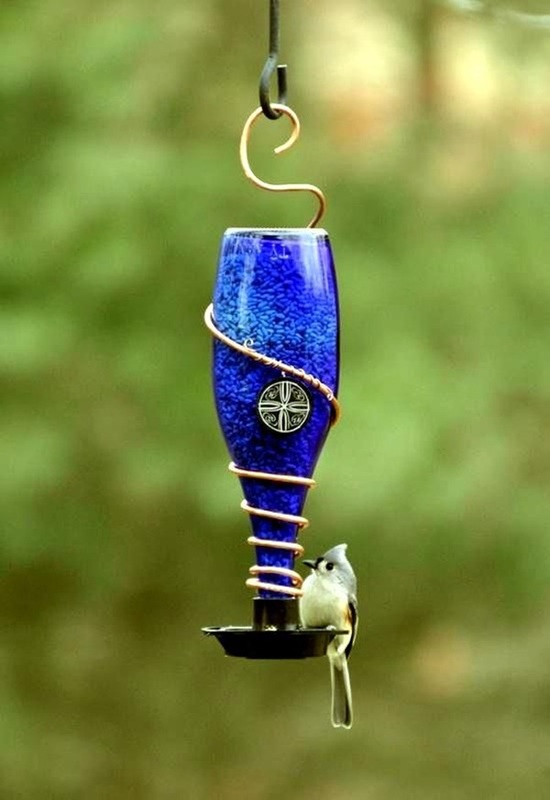 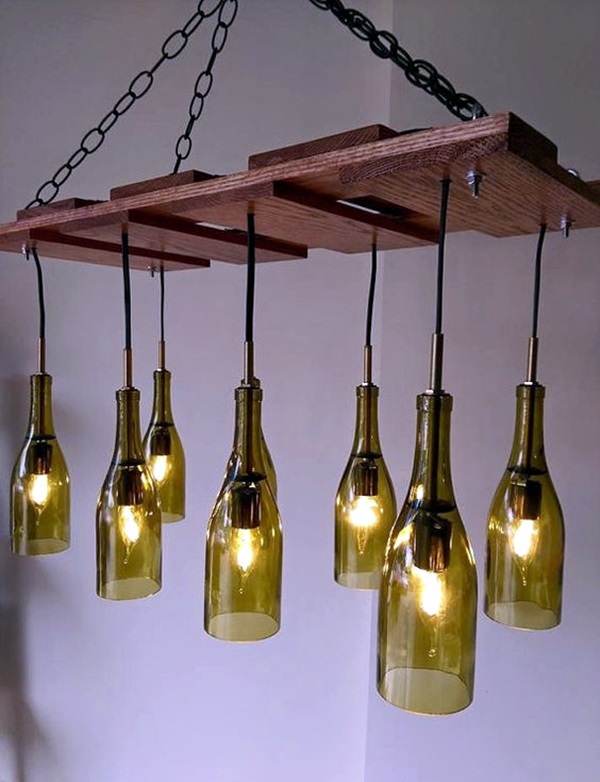 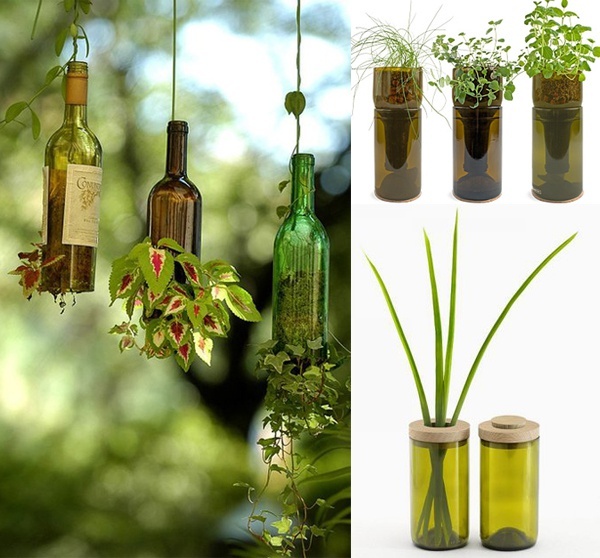 Now with the help of bottle corks, chains or rope, allow the bottles to clank and let your wind chimes float. 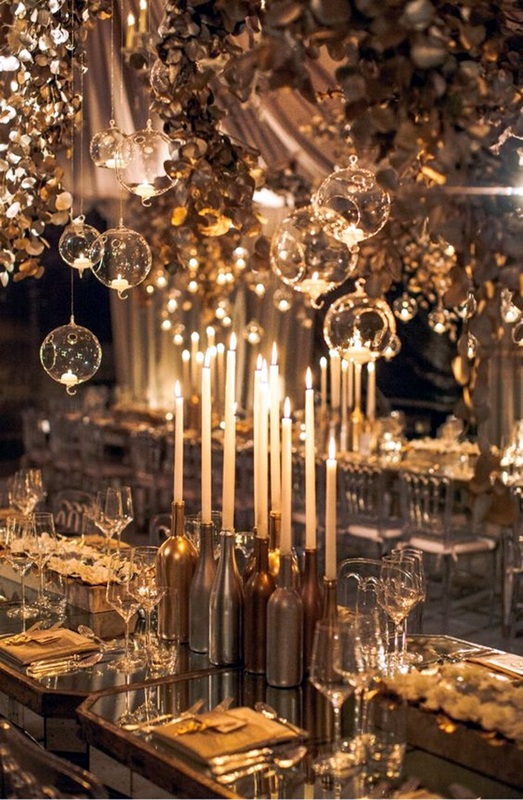 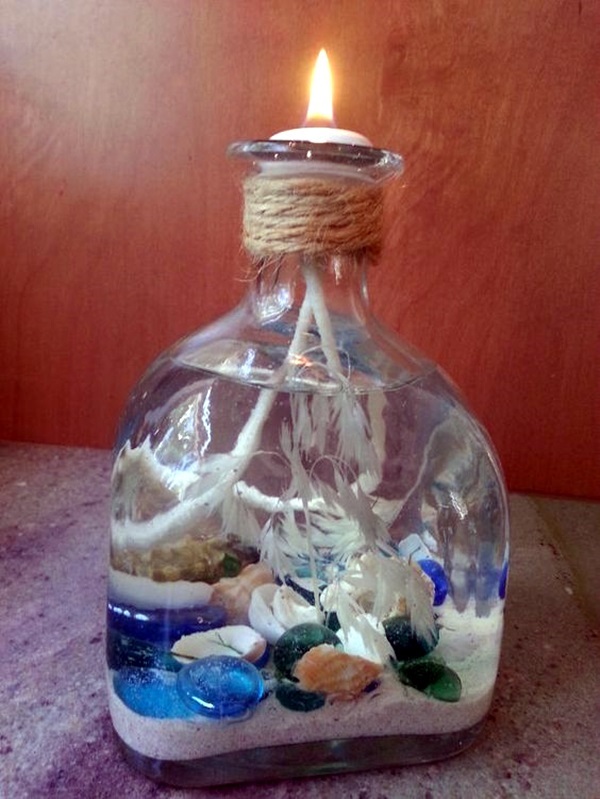 It’s really a great idea to light up your homes with home-made candles. 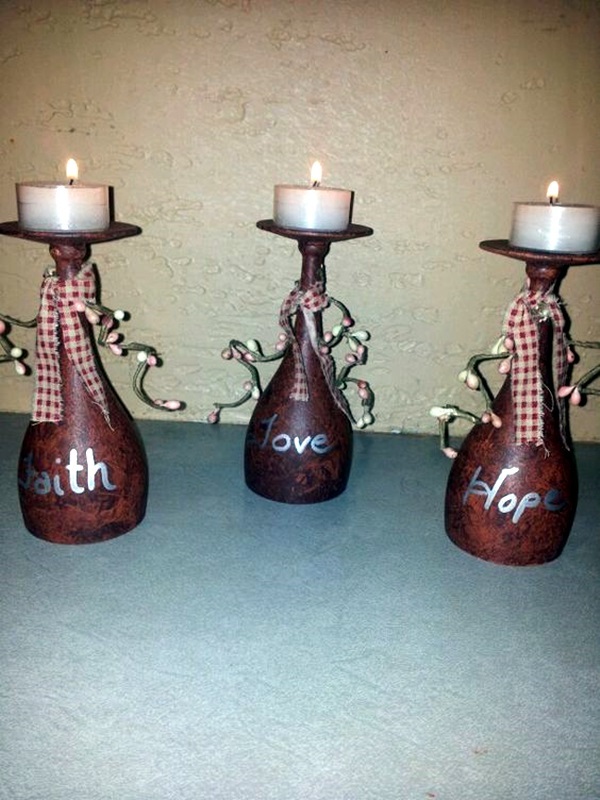 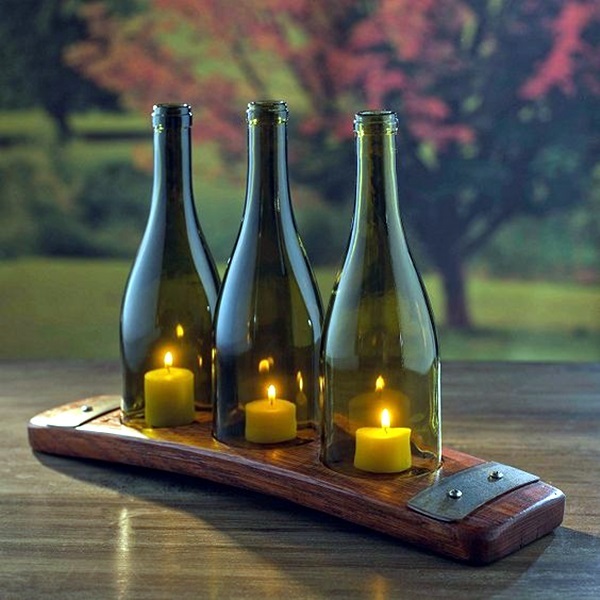 Moreover, if these candles will be formed by converting and re-using old wine bottles then it is more appreciating. 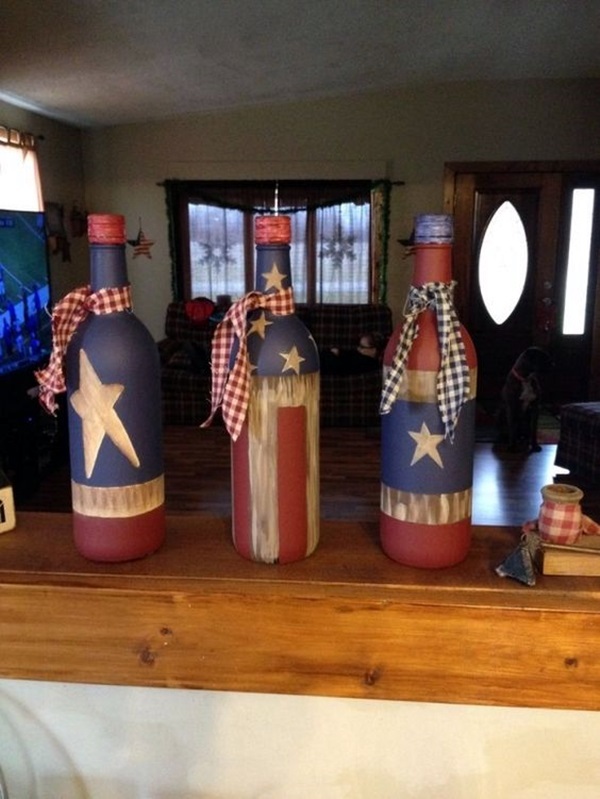 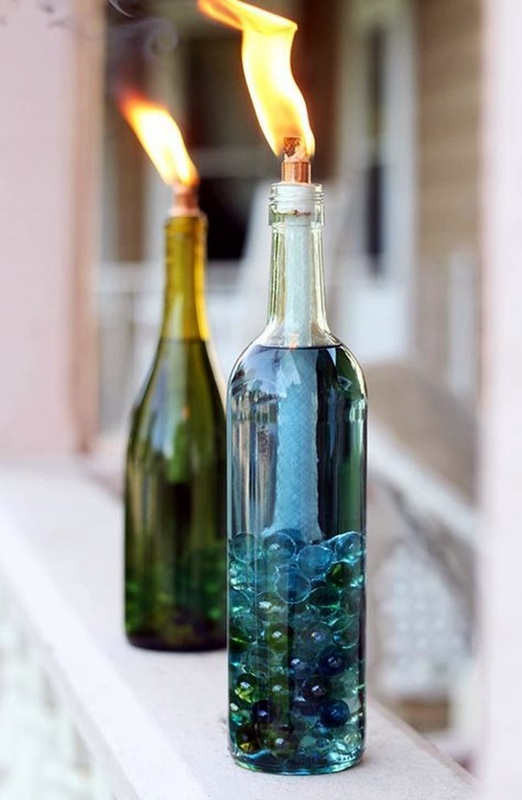 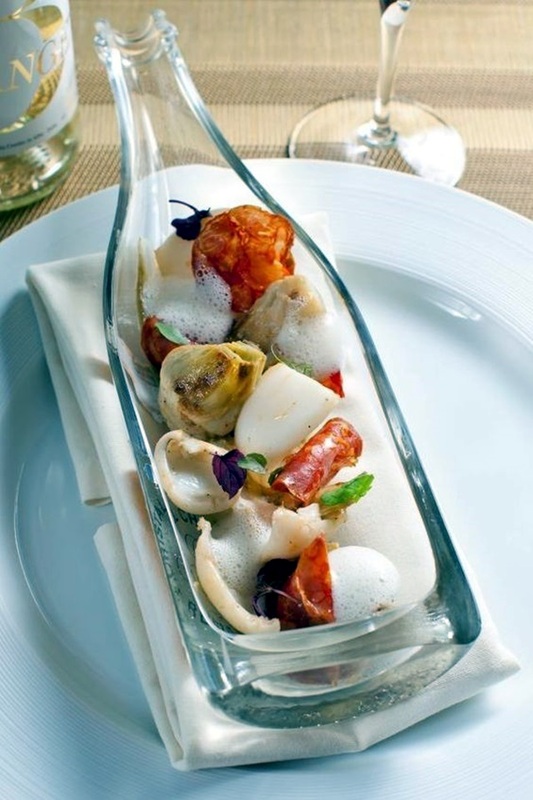 Use large bottoms of the wine bottles to be filled with melted wax and burning tops and cotton inside. 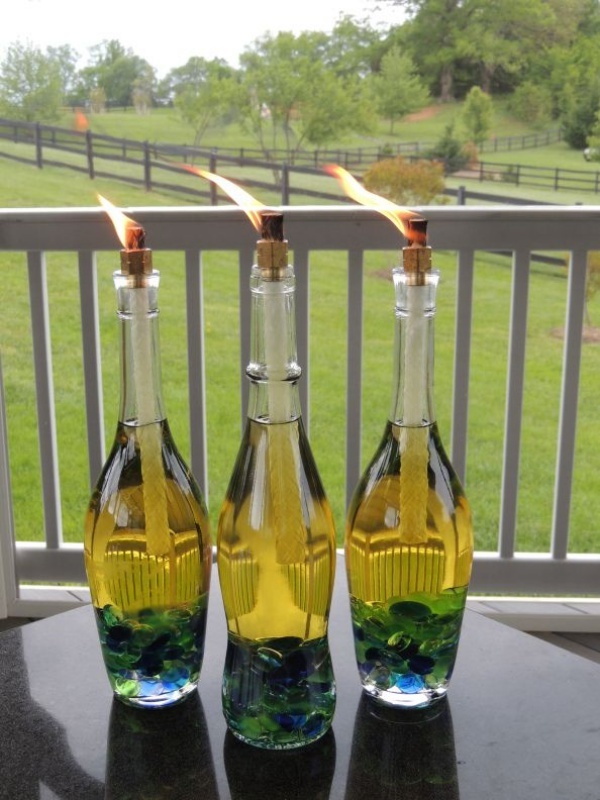 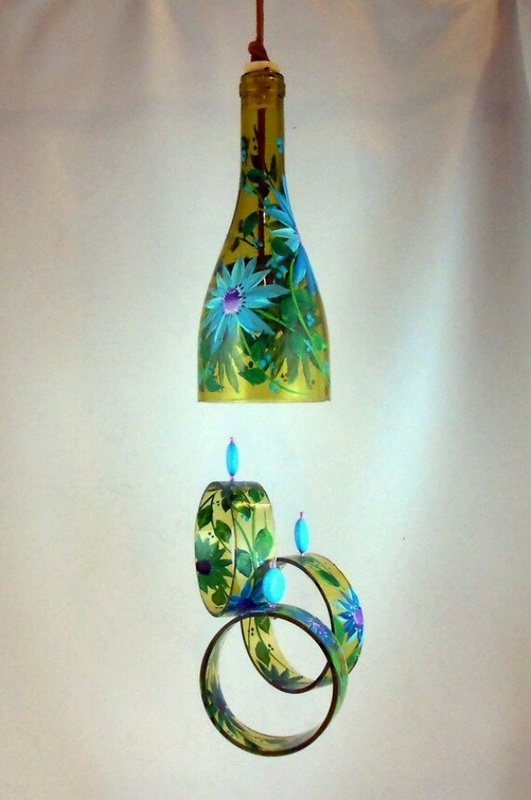 Paint your wine bottles in the form of colorful candles. 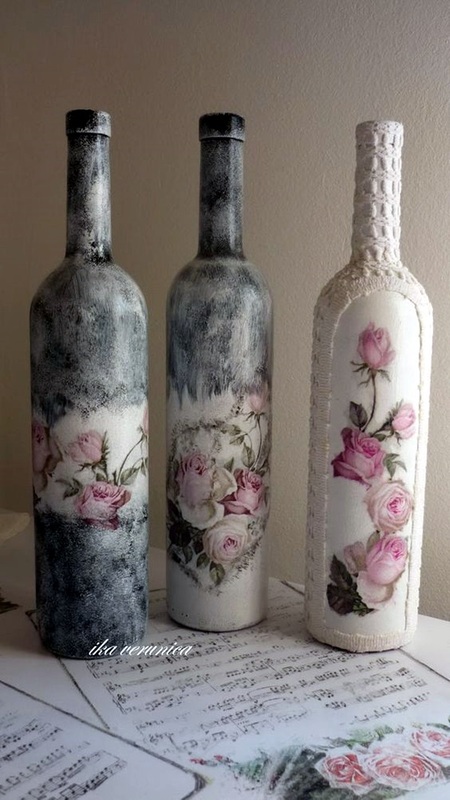 You can wrap it and even decorate it with flowers. 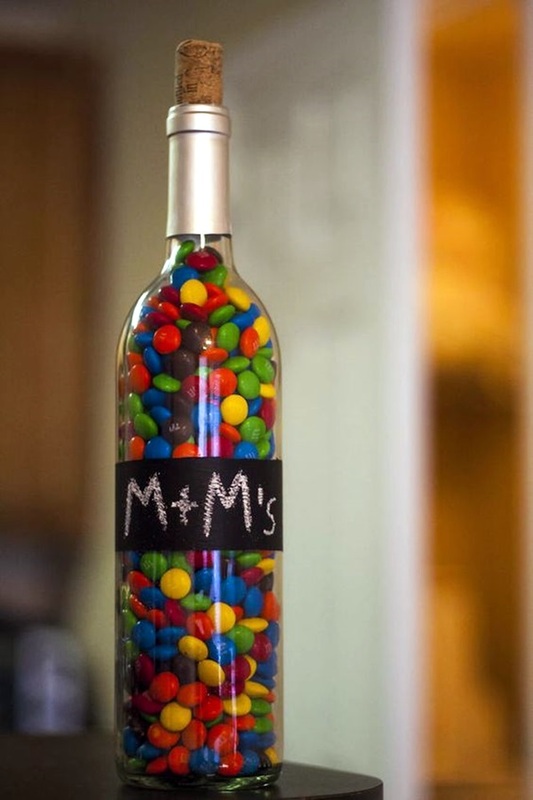 This is a nice idea to gift somebody especially someone special in your life to which you want to give a special message. 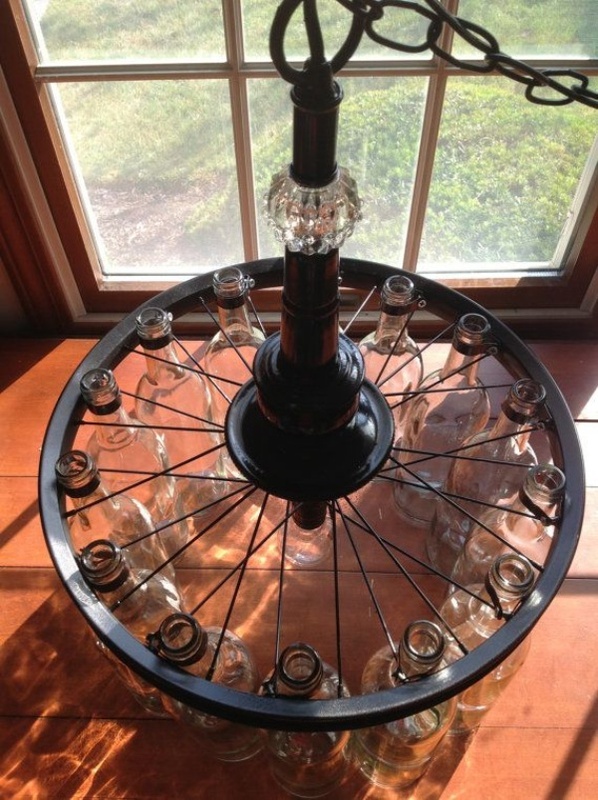 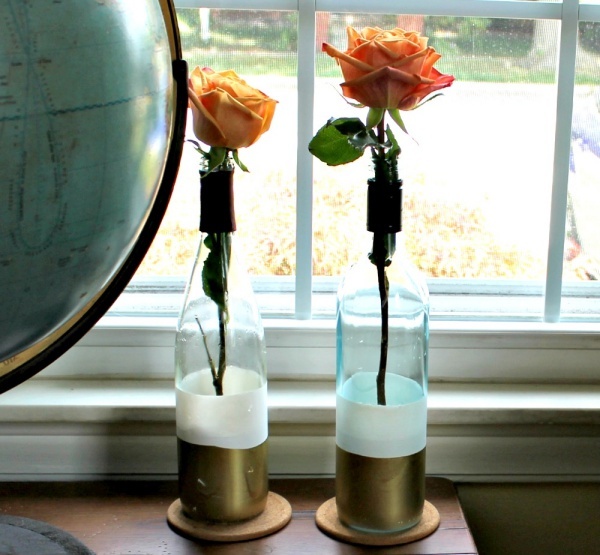 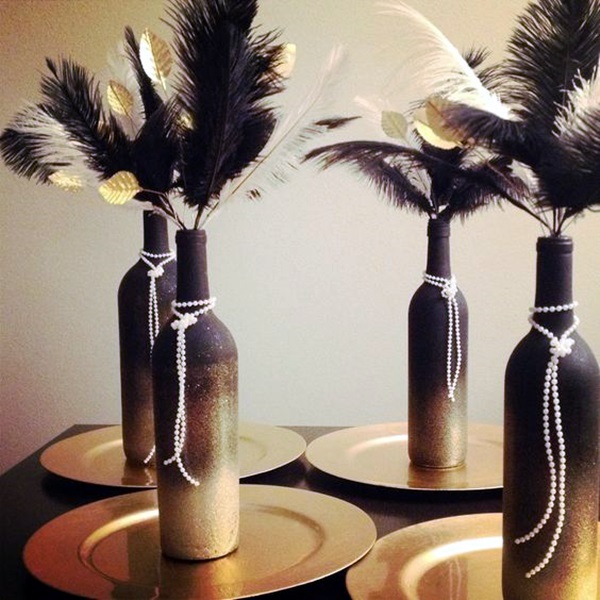 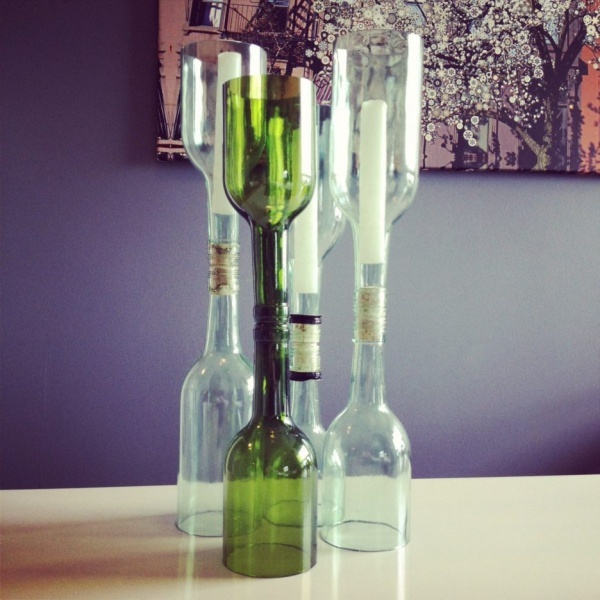 That’s it, your bottles are ready, put some old flowers and make it wonderful centerpiece. 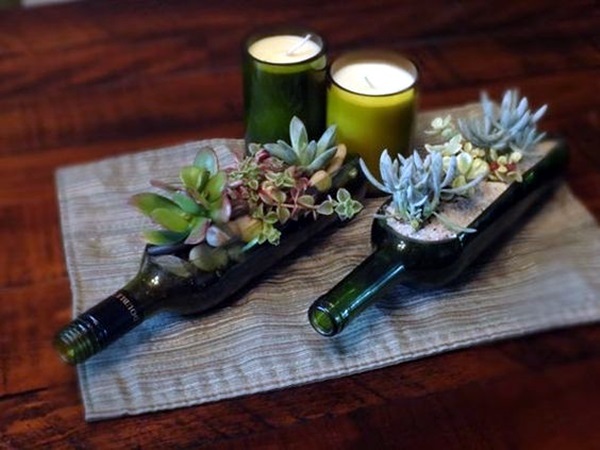 Yes, it’s true you can design a mini garden in a wine bottle. 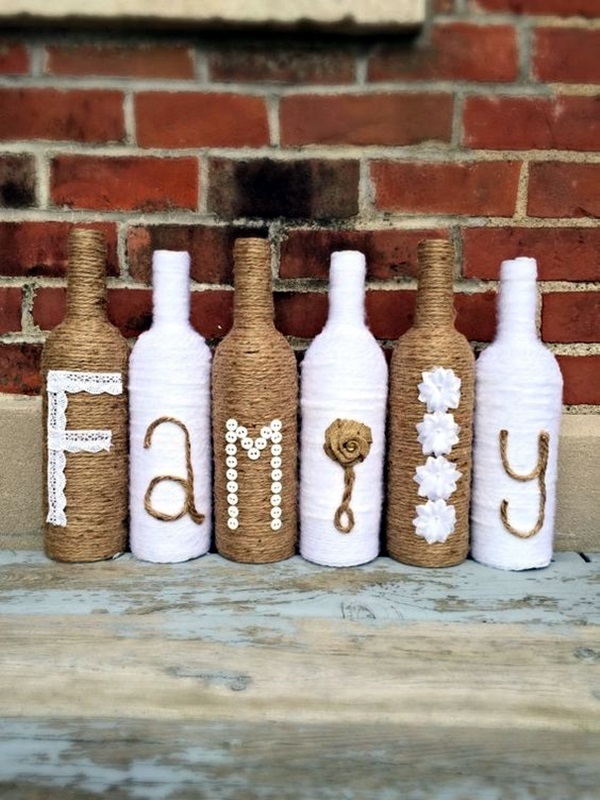 Cover the bottle with its cork. 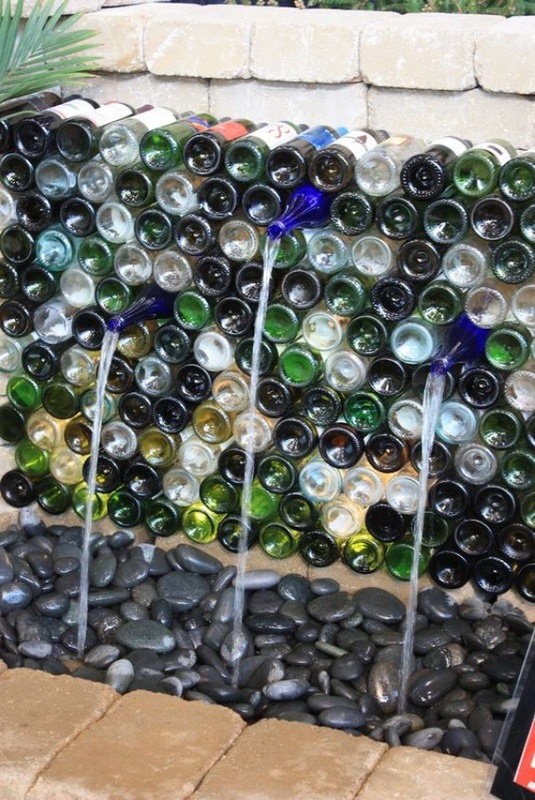 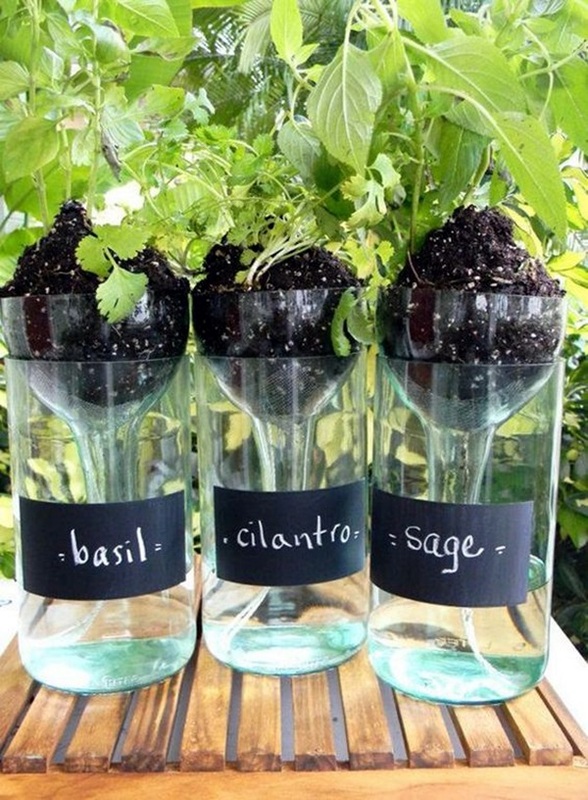 Use the side and larger side of the old bottles to fill in sand, stones and plants. 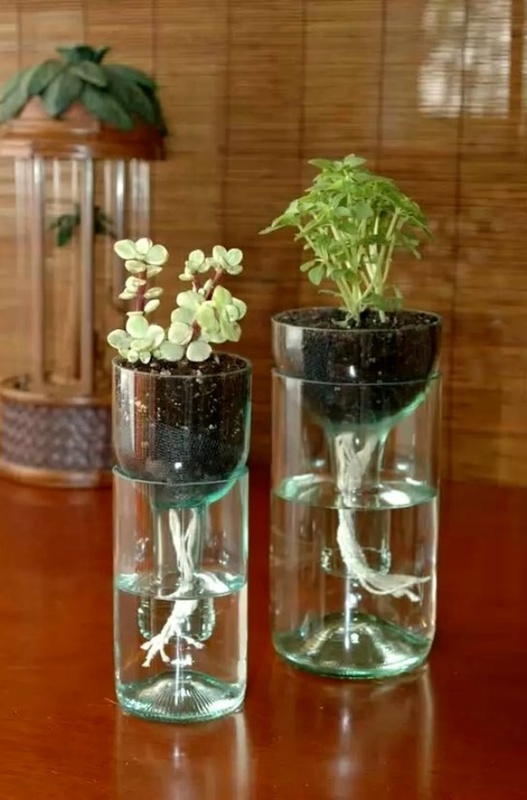 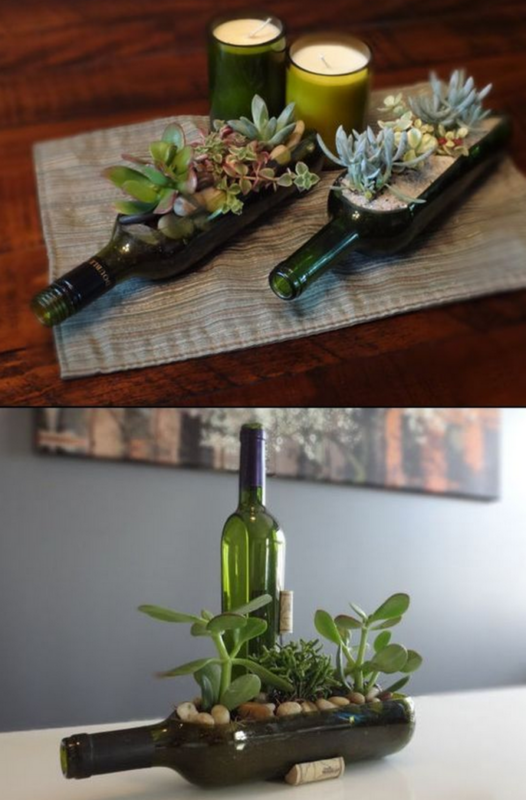 Out of many Cool Wine Bottles Craft ideas, this will definitely touch your heart as every day you can water those small plants and see them growing in front of your eyes. 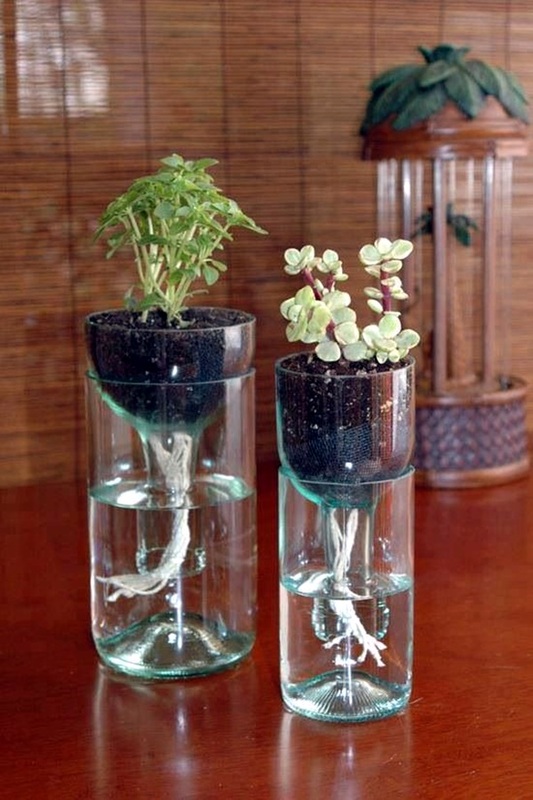 Make sure you do not over-irrigate and provide the proper amount of sunlight for their growth and survival. 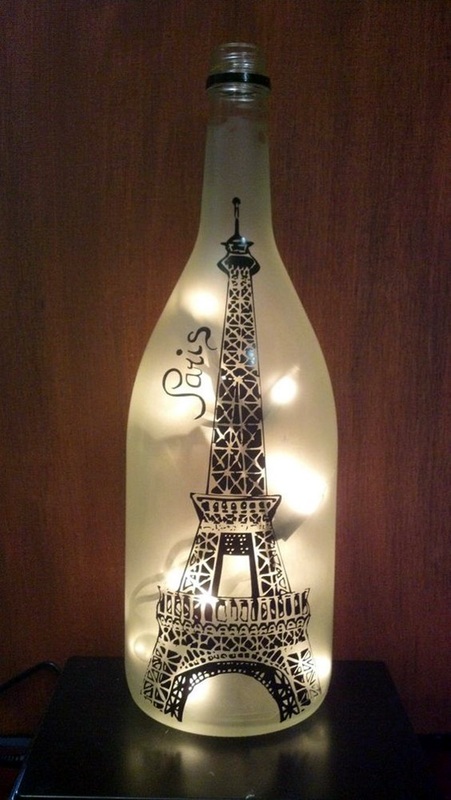 After using bottle this is a big issue what we can do with wine cork? 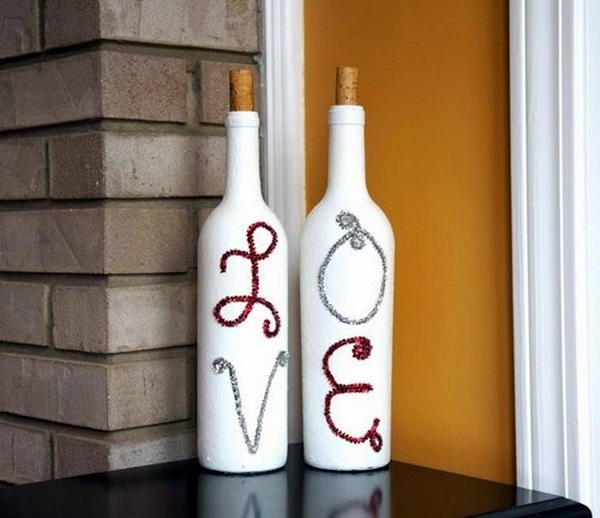 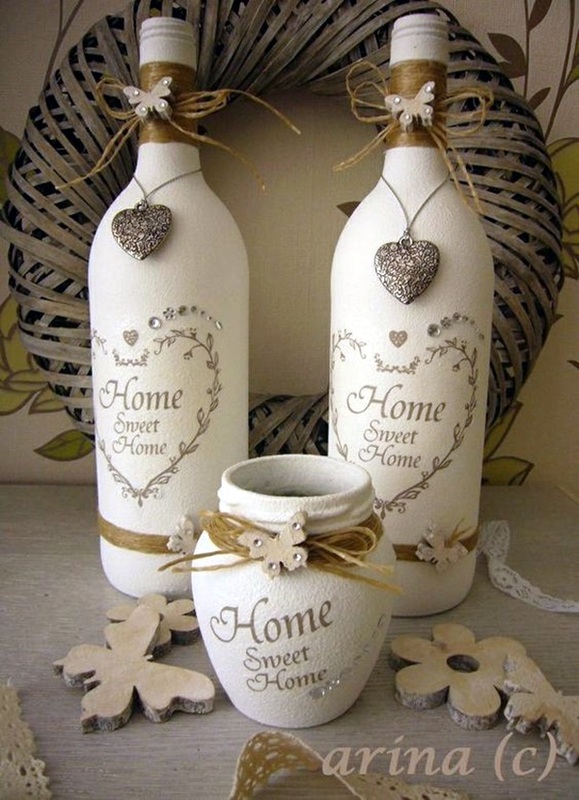 so, here is the great ideas of wine cork craft which solve your problem. 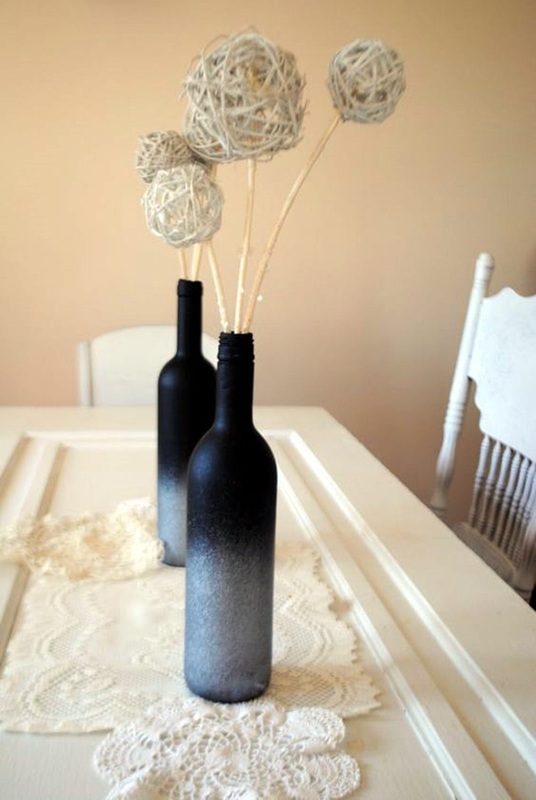 It’s actually great to learn about so many easy and DIY craft ideas. 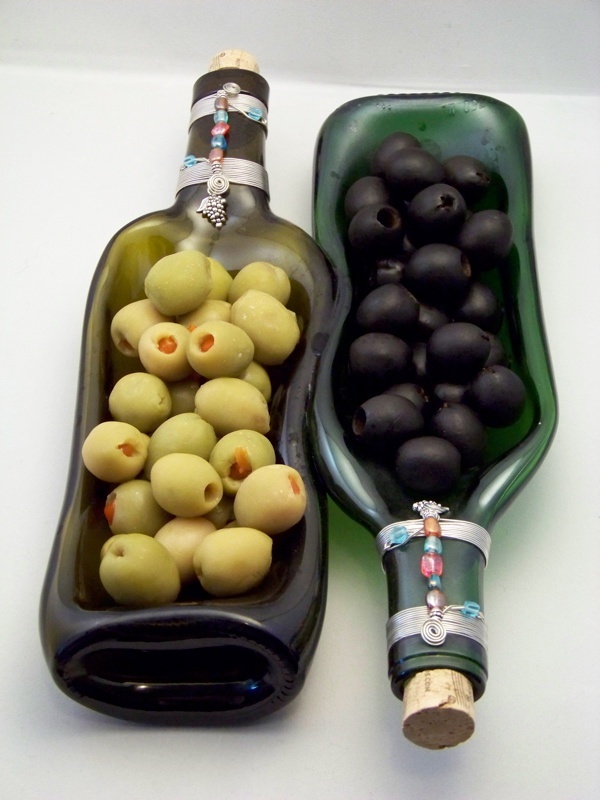 Old wine and liquor bottles are far useful than our expectations and imagination. 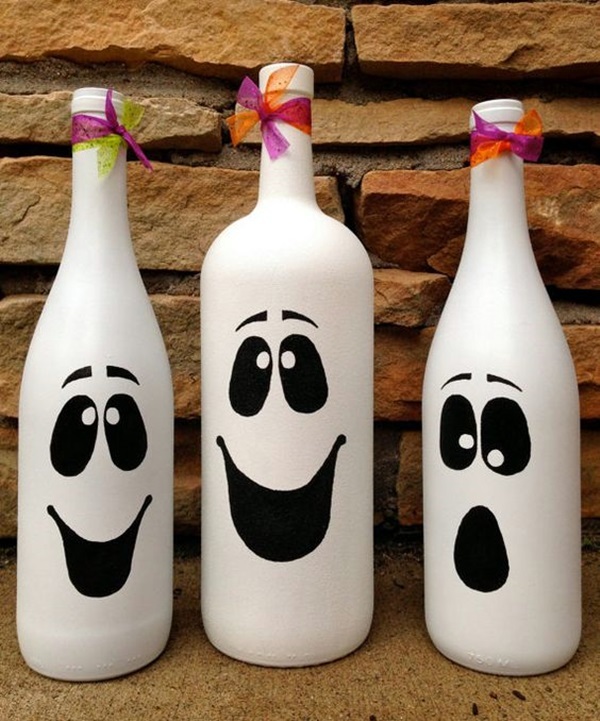 Use them and create your own masterpieces. 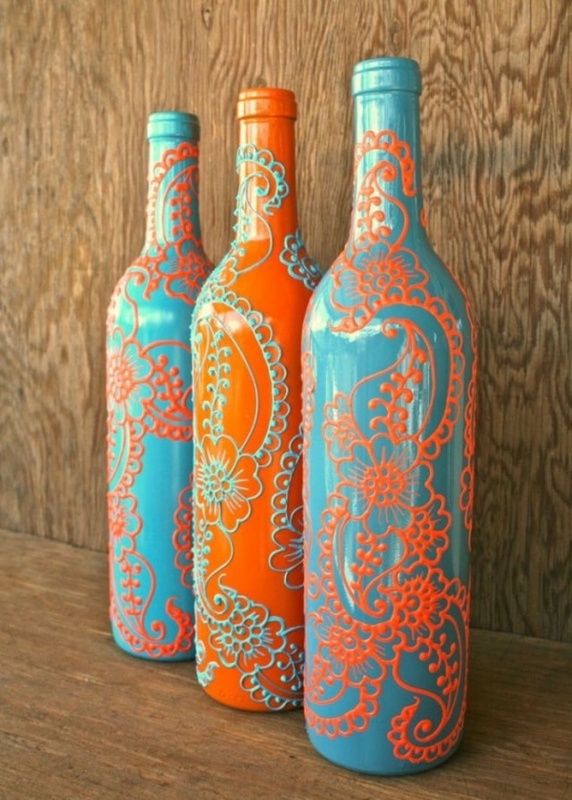 You never know, what great art comes out these simple tips and tricks.